The boys and I finished putting a new head gasket on and cleaning up the carburetor of the Tecumseh 3.5 horsepower motor of this gem. B did most of the work, so he got the first test drive! 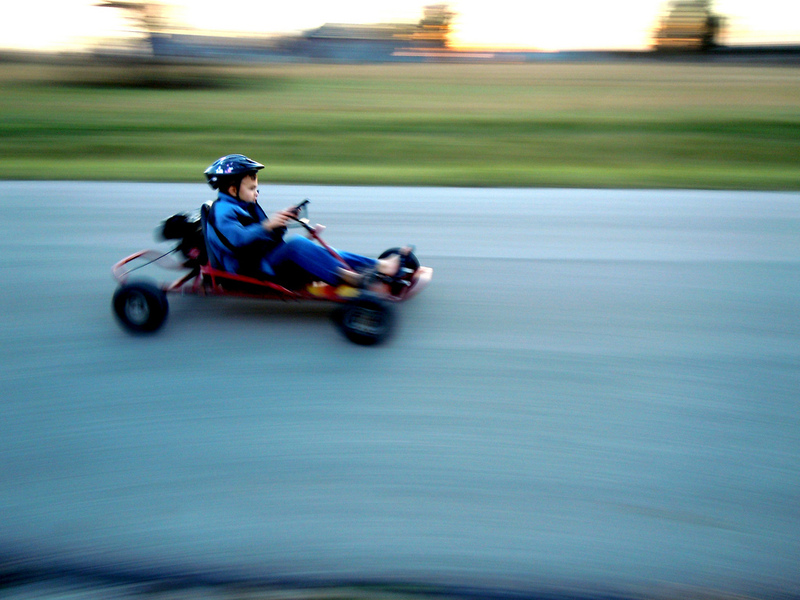 I hope to be seen in the driver’s seat of that go cart at some point soon. I think dad (grandpa N) would be wanting to see veloci-buggy.